improving local governance and reducing corruption through increased civil society engagement, improved business start-up procedures and tax codes, and revised trade laws. 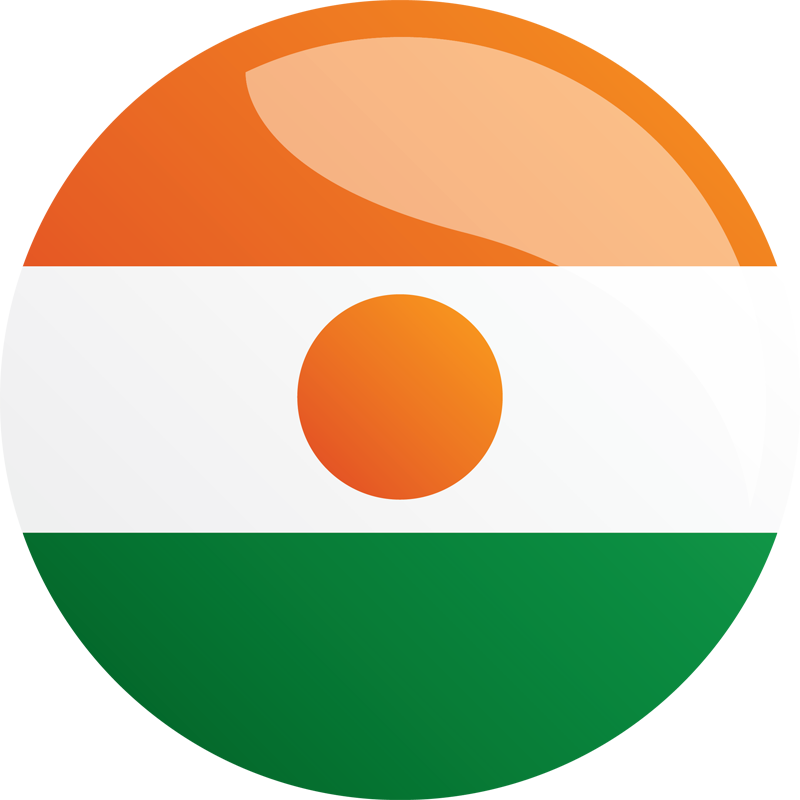 MCC’s Board of Directors suspended the Niger threshold program, effective December 31, 2009, due to political events that were inconsistent with the criteria used to determine a country’s eligibility for MCC assistance. The program was reinstated on June 24, 2011 in recognition of the country’s return to democratic rule after free and fair elections and a constitutional referendum. Designed and implemented a large-scale communication strategy and two hundred local action plans to increase girls’ primary school enrollment. Provided gender-sensitive training and student tutoring. Implemented activities to motivate school-age girls to improve school performance by providing school supplies and organizing camps and student competitions. Supported the design and implementation of income-generating activities by Associations of Mothers in Education to support school financial sustainability. Provided incentive packages to female teachers to accept jobs in rural areas. This project was the only one continued upon threshold program reinstatement. Established a national anti-corruption information system coordinated and managed by the National Statistics Institute to establish baseline data on corruption control and compile corruption statistics and information on enforcement and disciplinary measures. Built the capacity of civil servants throughout the government in investigating and auditing corruption. Conducted a study on strengthening the judicial framework to combat corruption and supported administrative and legislative reforms to implement the conclusions of the study. Built the administrative capacity of audit bodies and the judiciary to combat corruption. Enhanced the Public Procurement Regulatory Agency’s (ARMP) ability to conduct audits of procurements. Trained members of public procurement commissions selected from the Public Procurement Regulatory Agency, the Ministries of Education and Health and senior officers of the public procurement directorate. Established a website and a public procurement journal to publish tenders and criteria for selecting bids and to inform the public about the rules for public procurement. Drafted and publicized all procurement schedules in the media. Trained government officials in the area of public relations to publish inspection and audit reports in conformity with legal and human rights provisions. Trained journalists on how to coordinate with civil society to investigate and process information in the fight against corruption. Provided support to disseminate information on laws and the rights of users of services in the education and health sectors. Launched an anticorruption media campaign. Supported the inclusion of modules on corruption control in the outreach activities of other donors and civil society organizations active in the health and education sectors through existing coordination mechanisms. Established a support and advisory mechanism to provide technical and financial support for civil society and media on corruption control, and set up civic action groups to develop anticorruption strategies within schools and health centers. This project was discontinued upon the suspension of the threshold program. Established the administrative, legal and regulatory structures required to implement business facilitation reforms. Completed a study on alternative sources of financing for institutions dependent on business registration fees (as the Niger Threshold Program proposed eliminating these fees) and an additional study on supporting business start-up. Computerizee the processes for starting a new business. Developed and distributed “how to” guides on new business creation. Implemented administrative and legal reforms to reduce the time and costs associated with land ownership transfer, land valuation, building permitting and notarization. Conducted a study on the institutional requirements to implement necessary reforms, with recommendations to be implemented during the second year of the program. Organized a public awareness campaign to publicize land reform activities. Conducted a study on how to integrate Land Commission titles into Niger’s land registry, with the recommendations to be implemented in the medium-term as part of Niger’s broader rural development strategy.